Our little town would be nothing without the many volunteers who make it all happen. (That includes this website!) There are so many different ways to help out—from serving on a committee to helping maintain the ice rink in winter—there really is something for everyone! Volunteer opportunities are often posted as news items when they come up. To stay in the loop with this and all town activities, simply sign up for town email updates at the bottom of this page! This is where it all happens! While we’re at home concentrating on our own households, boards and committees are working away to keep our town beautiful, efficient, and safe. If you are prepared for the thankless life of a superhero, the following groups are looking for new members. No experience is required, just interest and commitment! The Historical Committee has just started back up after years of inactivity and is welcoming new members! One upcoming project will be to work on organizing and cataloguing the towns historical documents and artifacts. This board is anxious to hear new ideas and get input from the community about the role they will serve going forward. The Conservation Commission will be appointing several new members. This group works to advise the Select Board about conservation land and easements, wetland protection, and development in town. The Parks and Recreation Commission will be working on organizing several activities and offerings in town this year, including Family Fun Day, the Summer Rec Program, and a Winter Rec Program. Anyone interested should contact the Select Board to express interest. You’re also welcome to show up at any meeting and introduce yourself! The Friends are a group of people who care about the Rollinsford Public Library. Their goals are to encourage membership and use of the library, to raise funds to support the library and its programs, and to encourage donations of gifts and endowments to ensure the library’s future. They have several fun events during the year including movie nights, an amazing chocolate tasting event, the Salmon Run 5K, and the FuRPLe Fun Run. Contact the Friends if you are interested in joining or volunteering at an event! 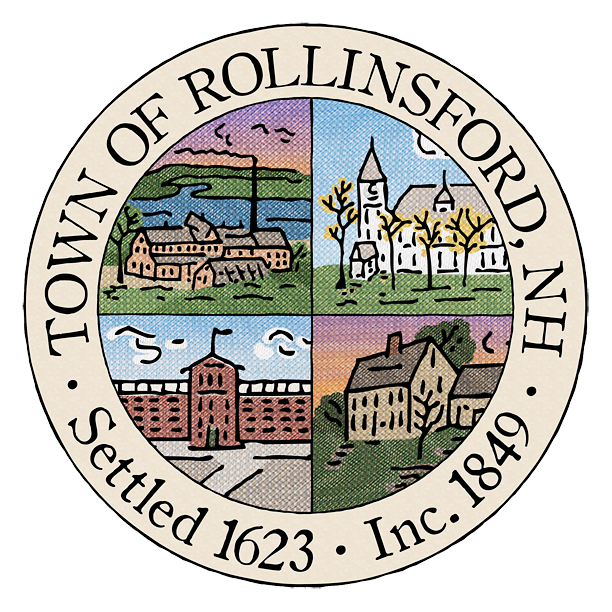 The nonprofit Association for Rollinsford Culture and History (ARCH) was founded to oversee the return of the historic Colonel Paul Wentworth House to Rollinsford. Located on Water Street, the Wentworth House is open for tours on Sunday afternoons, June through mid-October, and throughout the year hosts historical exhibits, school and youth programs, living history events (such as our Gatsby Garden Party and our fall Colonial Market Fair and Militia Muster), and a variety of other fun activities. Join ARCH in celebrating our community’s rich heritage! For information on upcoming events or to find out how you can join/volunteer, check out the ARCH Website or send an email. The Rollinsford Fire Department relies on local citizen volunteers. If you are interested in joining, or in learning more about membership and training, please contact one of the department officers by calling (603) 742-2803 or by email. The Rollinsford Fire Department also has an Explorer Program, designed for teenagers who are interested in the Fire Service and committed to serving their community. The minimum age for entrance into the Explorer Program is 14. Those interested in the Explorer Program can contact the Fire Department by calling (603) 742-2803 or by email. In October of 2016, the Seeds of Faith Food Pantry will be celebrating five years in Rollinsford, and they want to make sure that our community knows that they’re available to help those of us that are in need! Please spread the word about this wonderful resource. There are also opportunities to donate, volunteer and shop for a cause if you’d like to help! In addition to the food pantry, Seeds of Faith offers several outreach programs throughout the year to provide clothing, school supplies, gas cards, and other essentials to people in need. Learn more about this wonderful organization on our Public Assistance page.